The Saint Mary’s Tiger football team took to the field at Turpin in pre-season jamboree action against Ringgold. 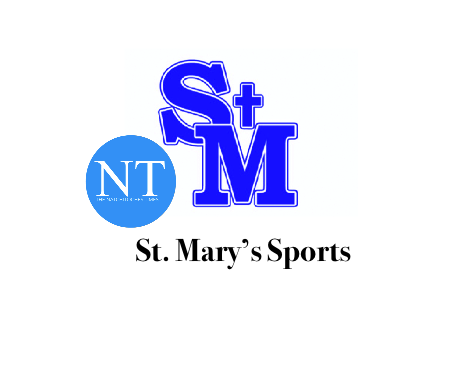 It was a late start for the game since Lakeview and Natchitoches Central both played before Saint Mary’s. The Tigers won the coin toss and elected to receive the ball to start on offense against the visiting Redskins. The Tigers went to work quickly and scored in short order on a pass from Parker Bankston to Luke Gallien. The point after attempt was no good and Saint Mary’s takes an early 6-0 lead. Ringgold returned the kick to the 35 but is penalized and starts on their 23. The Skins advance to midfield before the Tiger defense makes a stand and denies further Skin advance. Saint Mary’s returns the punt to the 36 and the offense again goes to work. The ensuing drive culminates in a Bankston 5 yard touchdown run. The two point try fails and the score is 12-0 SMH. Ringgold starts a drive with time dwindling in the first half of play. The redskins face a third and 12 when Matthew Thibodaux invades the Skins backfield for a sack. Zach Harrell repeats the defensive aggression and gets his own sack on the next play. Saint Mary’s gets the ball with very little time remaining in the half. Parker Bankston connects with Graeme Fidelak on a great out route. That play is followed by a solid run by Brock Zeagler who gets the ball to the Skins 23 and stops the clock with :15 showing. Bankston finds Gallien again for another score with only :08 to play. The score swells to 18-0 in favor of the Tigers as the first half ends. The second half of action is more of the same for Saint Mary’s. The Tigers recover a Ringgold fumble and score two plays later on a seven yard run. The PAT is good and the lead is 25-0 SMH. Some of the younger Tigers would start to see action in the second half. Andrew Godfrey took over at quarterback and commanded a nice drive of his own. He is able to score on a about a 30 yard run off right tackle. The final score is Saint Mary’s 31, Ringgold 0.